Cave de Relax has become in the 21th year. I have some meeting dinner at some place. I tasted glasses of beer and whisky. After I came home, I tasted glasses of white wine by watching a succor game on TV. 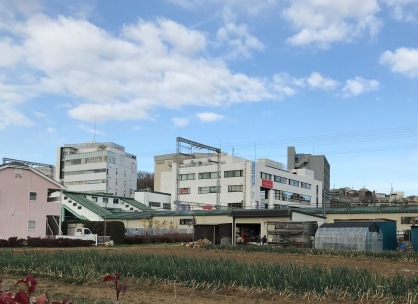 The picture is a green onion farm at the front of Tsurukawa Station, which is my home station. I think the station is only one that has a green onion farm in Tokyo.